Looking for a unique, personalized party favor for your event? Ordering the perfect party favors is a snap thanks to Amy's Bubbling Boutique. Search for party supplies by party theme or occasion—whatever you need, we've made it easy to find! Whether you need fabulous birthday party favor for your daughter's sweet 16 paris themed celebration, need the perfect accents for a child's turtle themed party, we're sure to have what you're looking for. From our extensive selection of personalized soaps, available in every color of the rainbow, plus a few others you probably haven't thought of, to complete ready to give favors, we can take the stress out of the party planning process with our unique selection of party favors. 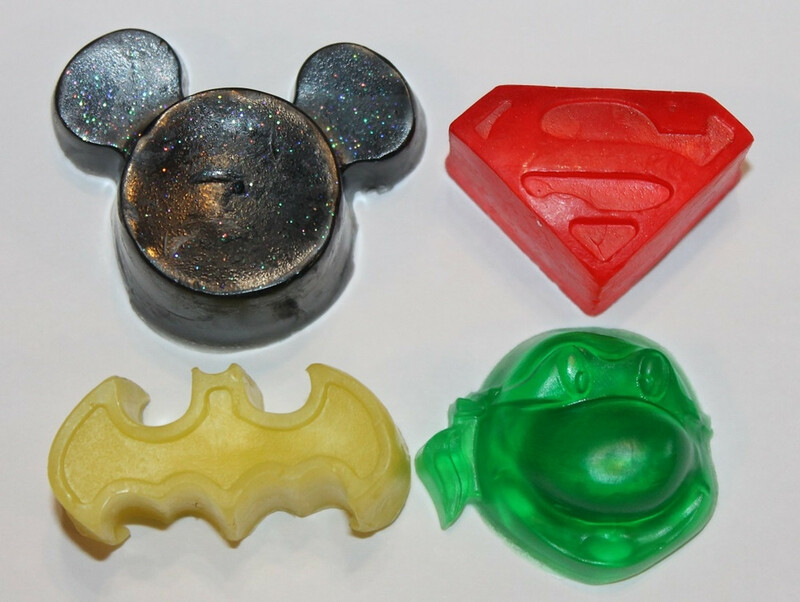 Whether you have a superhero or a princess, Amy's Bubbling Boutique has all your bases covered with our character theme party favors. Let us help you put together a personalized party favor that doesn't blow the budget and that's easy for everyone. Buy our custom made, do it yourself soaps and purchase the packaging separately at a fraction of the cost! We offer distinctive ideas for unique party favors to fit every theme. Be creative and use your imagination to come up with the best theme that fits your personality and style. Once you choose your theme, be sure to scroll down for options, such as color, fragrance or add glitter for that extra sparkle to give to your guests.